Wannabe Zen is a blog about being here now and remembering our true nature. Why the name is Wannabe Zen? [Silvia] I thought of this name a few years back while I was in the Satyananda Yoga Study course, where part of the course was the business plan side of things. I thought I needed a brand name, something that is simple yet catchy, something that can be used as a business name for yoga-related things, and I thought of Wannabe Zen. The domain was available so I decided to go ahead and secured it. What is the meaning of Wannabe Zen? It’s a play of words. 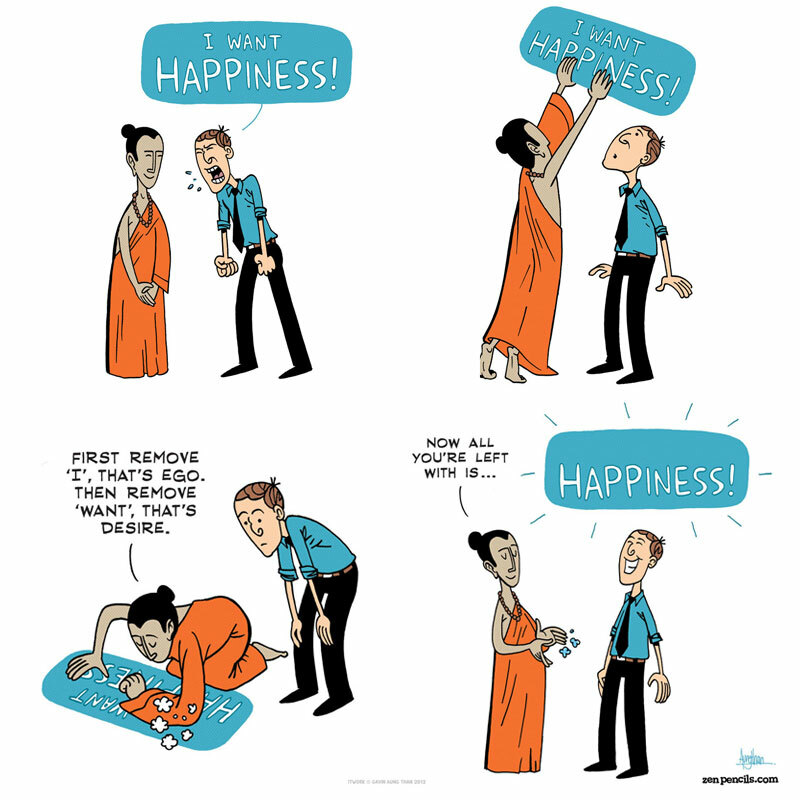 Wanting to be Zen – yet one can’t want to be Zen, one just be Zen, as illustrated on this comic from Zen Pencils below. If we take it literally, it is also true, we all aspire to be Zen. We all aspire to be happy, peaceful, calm, in control, etc etc. And the way to do it is by being here now and remembering our true nature. We’ll announce events here in the future. I like Wannabe Zen. Can I contribute? Email us at silvia.hendarta@gmail.com & chrisprawita@gmail.com!